I don't know about you, but I love wearing stripes! There are just so many ways you can style an outfit with striped clothing, and create so many different looks! I love using the clothes I already have and mixing it up with different prints and colors. So I hope you are inspired by the looks below, and can create your own outfit. Style is all about expressing yourself and experimenting, so don’t be afraid to break out from your comfort zone! 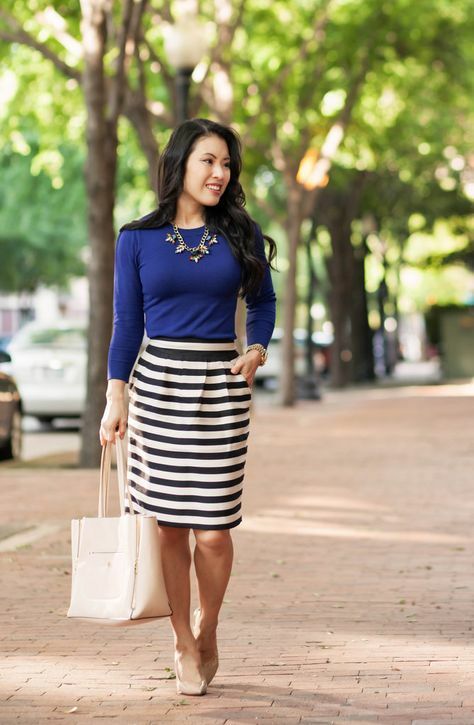 Shop the striped skirt below HERE.